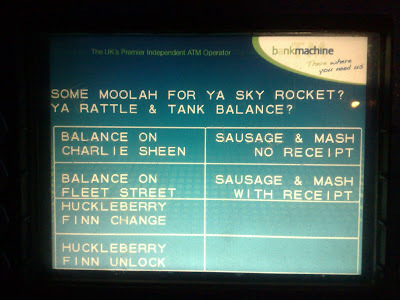 Widespread news coverage today of the 'Cockney cashpoint', where 5 Bank Machine cash machines in London have had a 'Cockney' language option added - the menus and commands are all displayed in cockney rhyming slang. On the drawing board the cockney cashpoint looks like a great idea (change 5 machines, get mass news coverage and prompt social media discussion) - and this stunt has received a massive amount of coverage from across the globe. 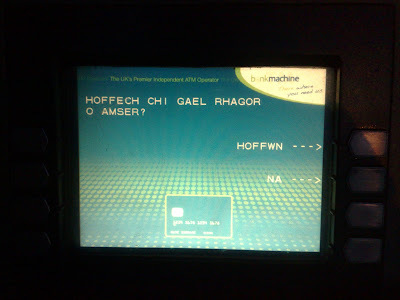 However, if members of the public who are actually using the machine don't know what's going on then the cockney cash machine is more likely to cause anxiety rather than enjoyment - and if they are all signed as 'out of order' then revenue per machine may actually go down rather than up. 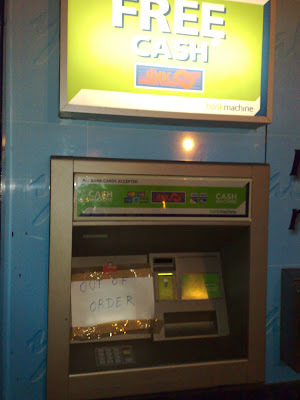 The news stories state that the cockney cash machine experiment may also be replicated in other parts of the country, with Geordie or Brummie cash machines in the pipeline. If this does happen, until word of the stunt has spread properly, I would firmly recommend that there is something on the machine itself to let people know what is happening + a briefing to those working in the vicinity. 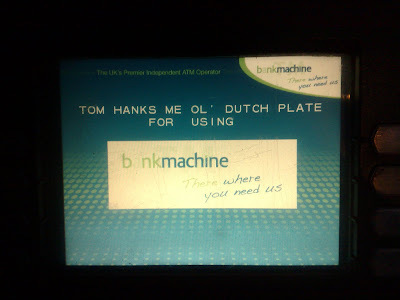 The cockney cash machine is another great example though of how the new word of mouth / social environment works. Stunt / event to fuel discussions, with journalists, tweeters and bloggers amplifying the message for you afterwards - one press release and five altered cash machine have generated huge coverage! Change your Facebook settings to Pirate language! I welcome product & tech ingenuity especially when it places consumers at front of mind but not at the expense of good diction. Enough money is pumped into the education system so we do not speak in 'slangs'. 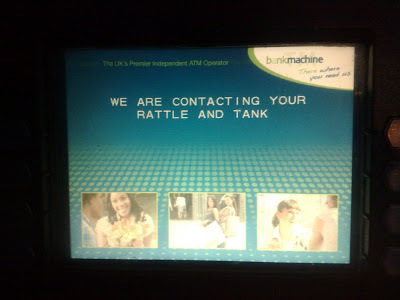 Whilst this might very well create an uplift in cash withdrawals I'm not sure if this should be encouraged. 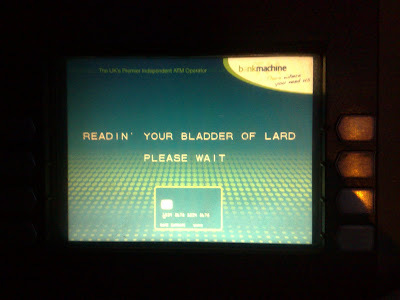 I'm loving this, though the equivalent in Dublin (a Scanger Cash Machine) would never work. Even us natives wouldn't be able to understand it! MadMenMedia: "Enough money is pumped into the education system so we do not speak in 'slangs'." It's not like there was a point in history when English was One Hundred Percent Right™ and it's all been downhill since then. Thanks for the comments, butI don't think we should read to deeply into this! The 'cockney cashpoint' is also the sort of randomness that appealed to people when 'Pirate English' launched as a language option on Facebook! There was a Cockney Cash Point at Thorpe Park. Now that I know what that means I want to go back and use it! Slang, accents, diction, colloquialisms are all regional markers for language. They make visiting London a different experience than visiting Brooklyn (which itself is different from visiting the Bronx! ), and form part of a group's camaraderie/bond - like it or not, *every* group, whether genetic, social, regional, or business - oy, especially business, with all those "buzzwords"! - has some phrases that are unique to that group. I thoroughly enjoy the variety within the English language and make an effort to learn regional slang - it's an interesting exercise, like learning an entirely new language. I like to think it also "shortcuts" conversations with locals (since neither side has to explain what is meant), although it can be a mixed bag between immediate clear understanding and confusion that an American just used a Britishism like... (ack, I can't think of a good example word/phrase at this hour, except overly easy ones like "loo," "lift," and "oi"). 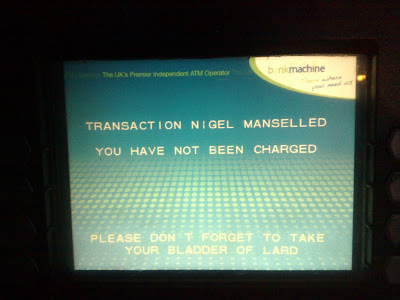 As for the cash points, I don't understand why people would be confused. The first screen you see makes clear the choice, doesn't it? Were they not paying attention? I hope this stunt isn't repeated in the Midlands, it would be incomprehensible. I want a Geordie one. The first screen gives you a choice. 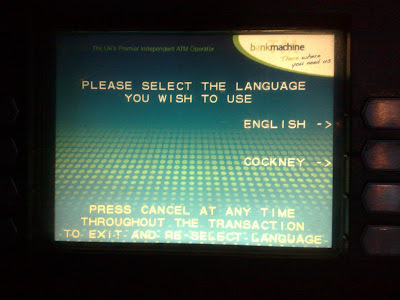 I would think one of any intelligence would figure out how to get back to the beginning and choose English if they accidentally chose Cockney at the start. Shouldn't the sign say something more like "chowder and porter" ?